Entire home renovation. We removed and replaced flooring with wideplank hardwood floors. 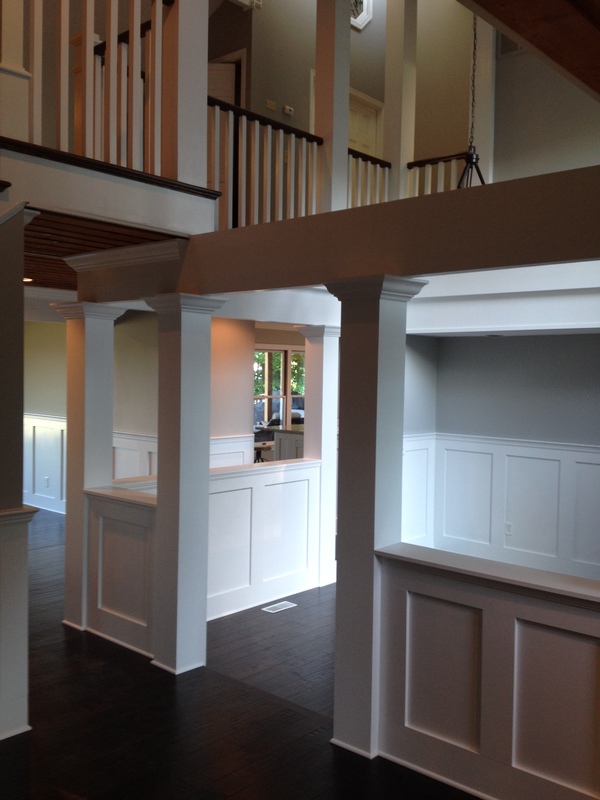 Removed dated popcorn ceilings, added new columns, custom staircase and rails. Added stonework to the fireplace, built-in shelving and custom trim work on the fireplace chase.